Length: 6 hrs. 25 min. See yourself, your church, your world... differently. 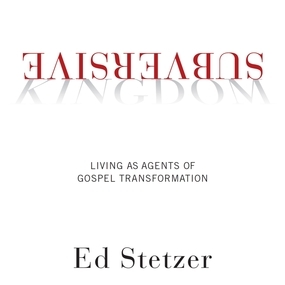 Ed Stetzer turns conventional Christian living on its head with this inspiring, instructional guide to life in the kingdom of God—not just church, not just check marks, but a full, everyday, out-there adventure of worship, lifestyle, relationships, and service. It’s about living so confident in God’s eternal promises that you can live every moment at His complete disposal, deployed by His Spirit to make creative, courageous inroads into the heart of a dying culture. Join the army of fellow followers who are rescuing lives, changing assumptions, and subverting by God’s grace a world gone horribly wrong.